“As soon as we walked into the barn we knew it was the place for us. It definitely gave me butterflies. 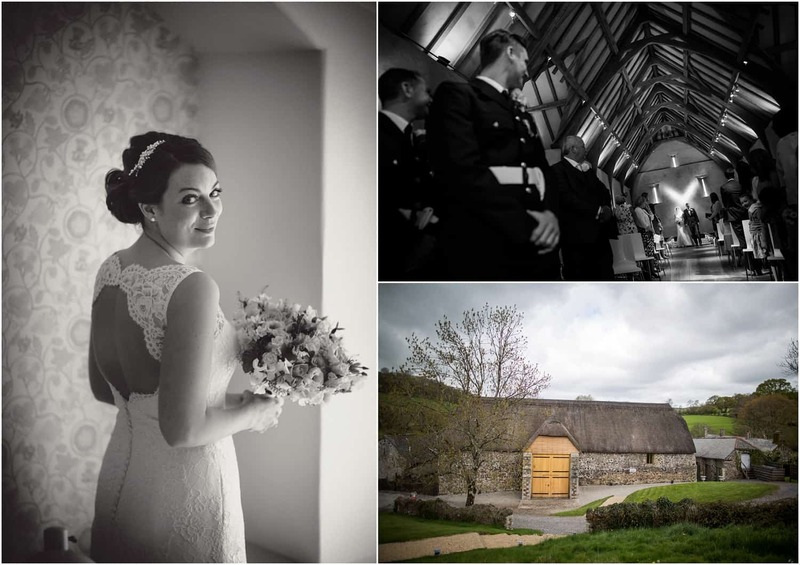 “We met whilst Dan was lifeguarding at Newton Abbot Leisure Centre. I was training with Newton Abbot Swimming Club, which is where the club did their swim training. “Dan took me to Mexico for our first big long haul holiday together. He proposed on the beach one evening, down on one knee, in the sand….very romantic! “As soon as we walked into the barn we knew it was the place for us. It definitely gave me butterflies. John was fantastic and so enthusiastic. 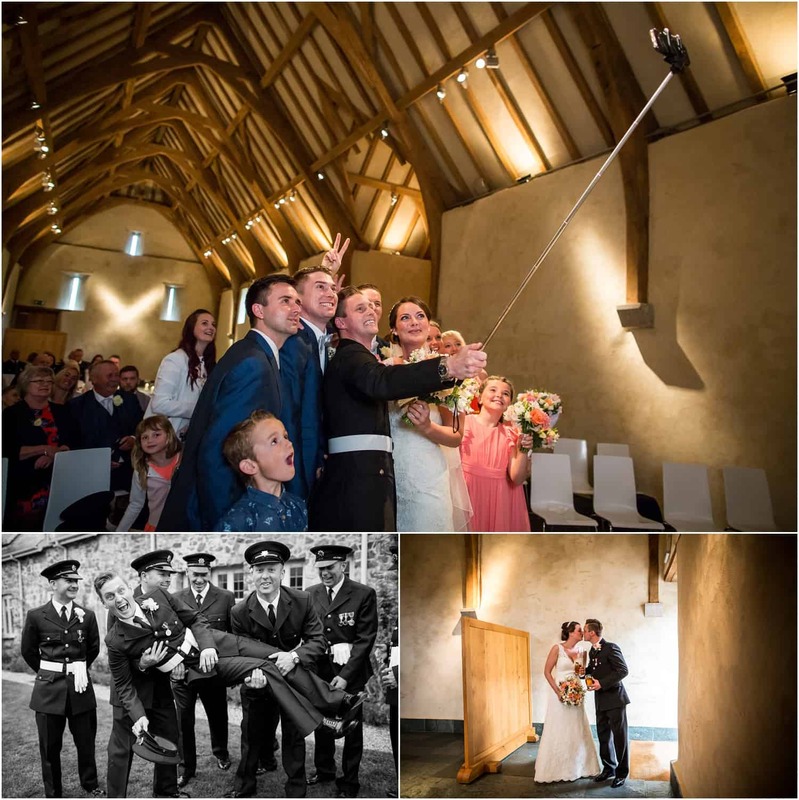 When you choose the Great Barn, you get a real bespoke experience with a tremendous amount of support from John and Emma. 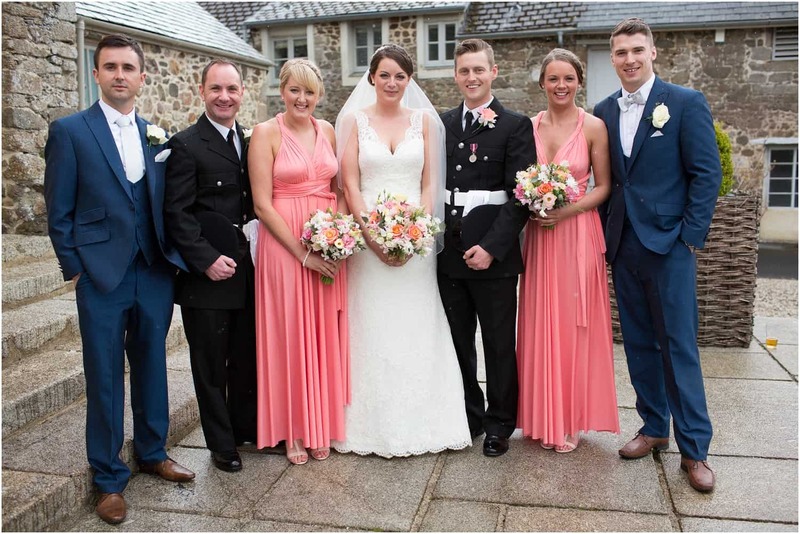 “My dress was from Kate Walker in Honiton. Again as soon as I entered her boutique I knew I would find my dress there! My dress was called ‘Daphne’ by Augusta Jones. It was lace and made me feel amazing. I also brought from Kate Walker my shoes, headpiece and veil. I wore Tiffany & Co. pearl earrings, which Dan had brought me as my wedding day gift. 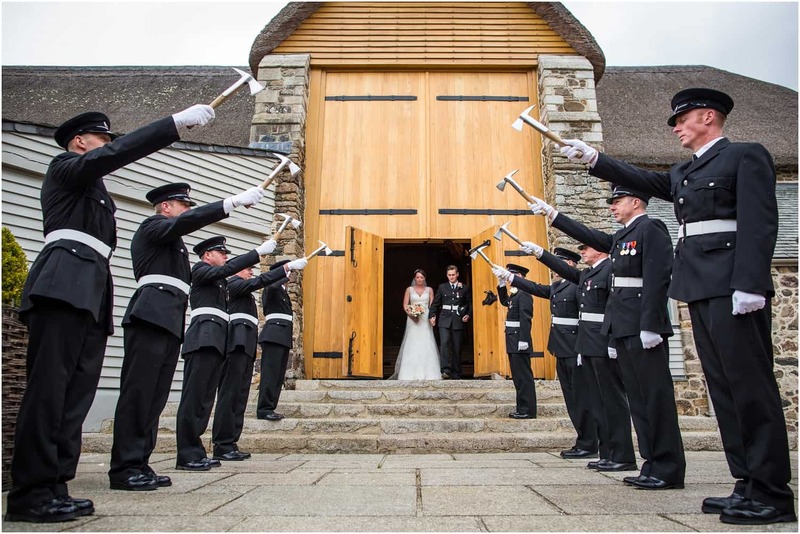 “As Dan is a Wholetime Fire fighter he wore the full dress uniform for most of the day which matched all his guard of honour. During the evening he changed into a three-piece blue suit from Angel Face to match the other groomsmen. “I wouldn’t say we had a theme but we love anything vintage. We used a rusty bird cage as our table planner and had a naked cake, which we loved! The barn suited this kind of vintage / English country feel. “Walking down the aisle was a massive thing for me. I lost my dad was I was 14 so I asked my brother to give me away. It was so emotional but went perfectly even with my 19-month old nephew running down the aisle first. I think most people would remember out first dance… let’s just say not the usual first dance you would see!